Dog tags are a great gift and cheap at $20.00. They last forever and we have done a lot of tags for a lot of different people. Hockey teams, Big Pharma, Halloween costumes, Lost Kid emergency info and medic Alerts. You can include them with your next order to Army Issue. If you want only a set of tags send me an Email, arrange payment and we will put them in an envelope to you. 1 Set includes 2 dog tags, 1 long chain, 1 short chain, and 2 rubber silencers. Great for loot bag gifts, child ID, emergency/allergy alert ID, dog ID, luggage/backpack tags, key chains, fundraisers, team morale, etc. 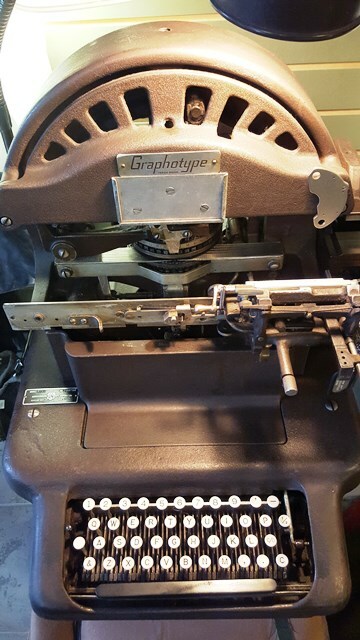 Each tag can be stamped with a maximum of 4 lines of 15 characters each (including spaces and punctuation) for a total of 60 characters/tag. Both tags may be the same, or different. Available characters include entire alphabet (in capitals), numbers (0 thru 9), also &("and" symbol), '(apostrophe), (comma), -(dash), 1/2(half), c/o, c (as in Mc) Black print is optional. 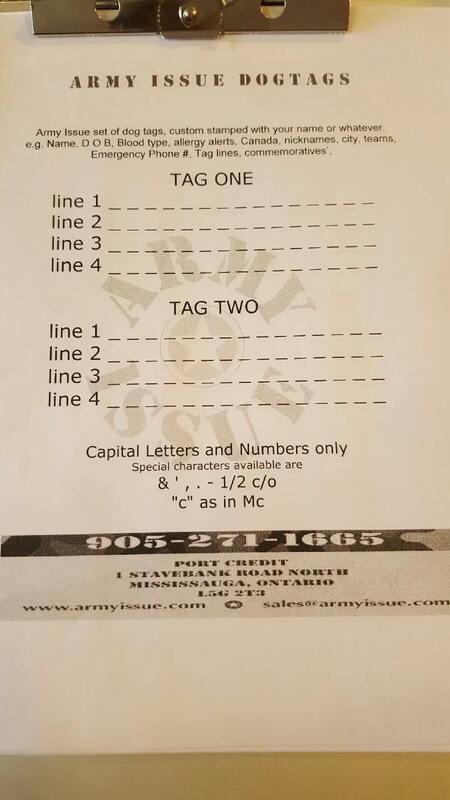 Please send stamping instructions to sales@armyissue.com, please include "dog tag order for CDN GUN NUTZ" in title to expedite order completion. Here's the stumbler, lots of orders go like this. But you can get creative. Last edited by Army Issue Surplus Inc; 01-04-2018 at 01:54 PM. Those are certainly nice sets. I think I am gonna have to visit the store, next time I pass through! Just to see what kind of deals you have!! Nuthin else! Thank you dog tag demonstrator! Anxiousness is the axeman of accuracy. 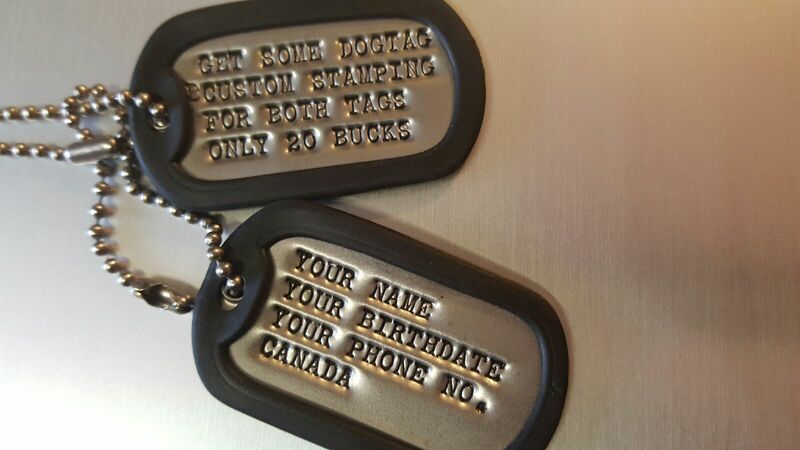 click DOGTAGS to order a set of Tags! Last edited by Army Issue Surplus Inc; 03-22-2019 at 04:22 PM. Ah yes...spring is in the air and the ice will be off soon. I feel the sudden urge to do some "MOTORBOATING"
Last edited by DinduNuffin; 03-22-2019 at 10:56 PM. What's the shipping on those to Montreal like?